Congratulations Kaneda! My wife is currently working on our second . She's around 8 weeks now. a second ?! arg!! not for me, one is enought ! I'm already enought busy with one ! Congrats Kaneda, I'm just a little late! She's almost 6 months old, right? cdoty wrote: Congrats Kaneda, I'm just a little late! She's almost 6 months old, right? 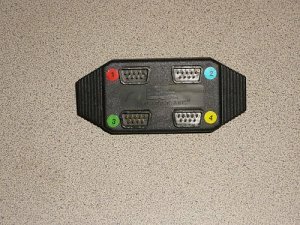 Don't forget the J-Carts with the controller connectors in-cart additionally!